There has been a lot of controversy since ABC announced they would be doing a reality show called "The Glass House" that sounded very similar to CBS's "Big Brother." 14 people living in a house, competing for a cash prize, sounds very familiar. CBS thought it was so familiar that they are even suing ABC over the show. Big Brother fans may look at it a different way, in that Glass House may give fans something to watch while anxiously awaiting the kick off of Big Brother 14 next month. Glass House will feature live feeds on certain days of the week, and will feature more fan voting and interaction which will determine a lot of what goes on in the house. Now ABC has revealed the cast, and many people are commenting that the show doesn't look like the current Big Brother cast wise, but more like the early versions of Big Brother. There aren't many model types, just more every day type people, which is what some Big Brother fans have wanted for the past few years. Other fans prefer the good looking model types Big Brother has cast in recent years. Also there doesn't seem to be anyone in the cast younger than 27, which will also give the show a different feel than Big Brother. Maybe this show will be a good alternative that will gain fans who don't like the way Big Brother has cast over the last few years. 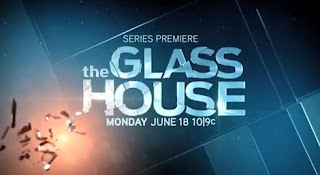 The Glass House premieres on June 18th, but next week the voting and live feeds will begin online. Hopefully the show will provide a good alternative if the show set up turns out to be good. Take a look at the full cast for Glass House along with their bios on ABC.com.